What you may consider an indulgent spa service can benefit your pet’s mental and physical health. 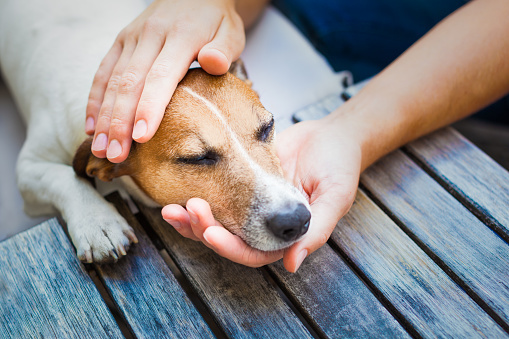 Massage may reduce stress and anxiety, increase circulation, decrease pain, and strengthen the bond between you and your dog. Also, it can help to identify new growths at an early stage. The best part? You don’t even have to leave the couch. 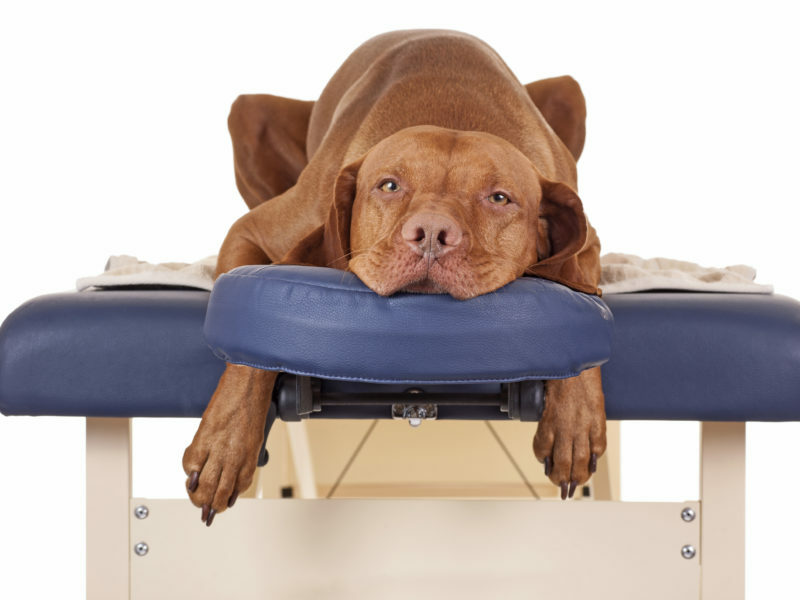 Anxiety: Like a Thundershirt or other swaddling tool, the hands-on contact of massage may be useful in reducing stress during a thunderstorm, fireworks show, or any situation that makes your pet nervous and restless. Arthritis: The act of gentle rubbing and kneading can increase circulation to sore muscles and joints. The gentle pressure of your hands causes tissues to contract and increases local blood flow. Take caution not to press too hard, and stop if your pet flinches, moves away, nips, or growls. Pre-Activity: Just like human athletes, dogs, can benefit from a pre-workout warm-up. A gentle massage stimulates circulation; increases blood supply to joints, muscles, and nerves; and can even help prevent injury and post-workout soreness. Post-Activity: Age, overexertion, too much inactivity, and previous injuries can all lead to postexercise stiffness and pain. Massage can help alleviate some of this discomfort. Step 1: Pick a quiet part of the house for the massage to help your dog feel calm. Do not try to massage if your pet is overly fearful. First, softly stroke the area of interest. Use flat palms to press against the skin lightly. Move your hands slowly using long, sweeping motions. While massaging, take note of any swelling, increased sensitivity, and pain. Stop if it seems to hurt your dog. Step 2: Using the technique described above, start from the head and neck, and work down the body, gently increasing pressure if your dog seems to be enjoying it. Do not press straight down on bones or joints. Avoid areas where your dog doesn’t like to be touched. Step 3: A gentle massage at the base of the skull and the base of the tail can stimulate relaxation. Remember to make the experience enjoyable for him—stop if your dog recoils, cries out, or seems to be in pain. Your veterinarian can help determine if any of these are right for your dog.